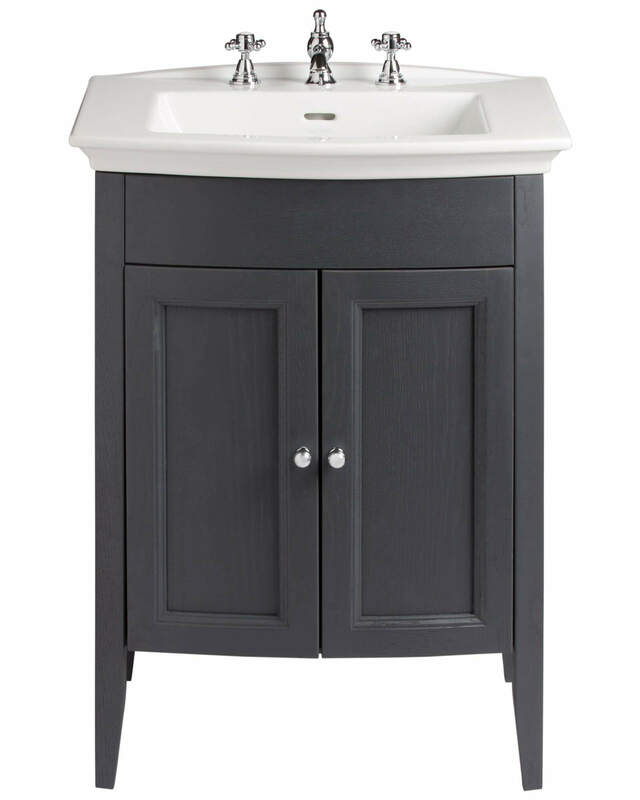 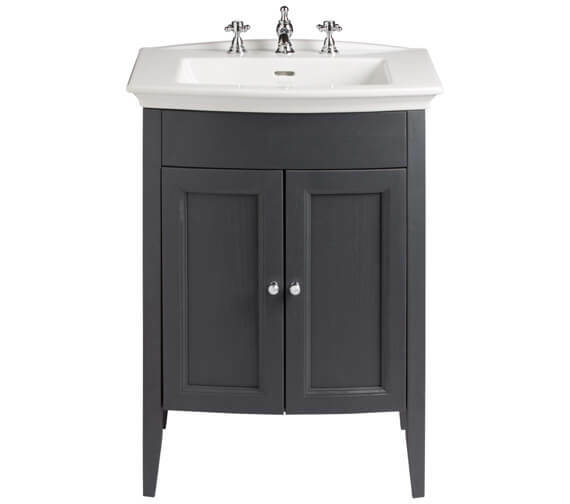 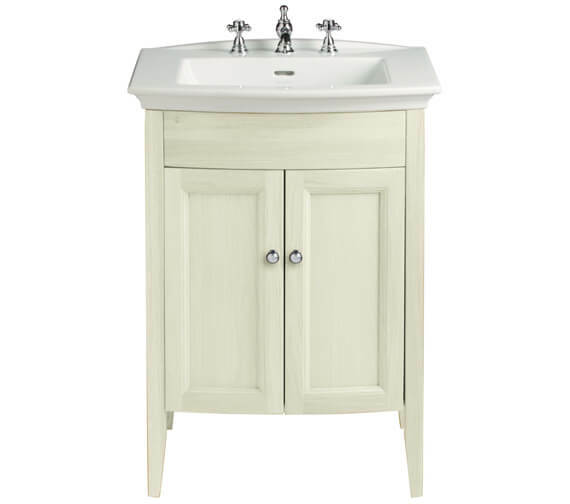 Petit and compact, the floor-standing Heritage Caversham Vanity Unit for Blenheim Basin is actively eco-friendly and comes with a 5-year guarantee. 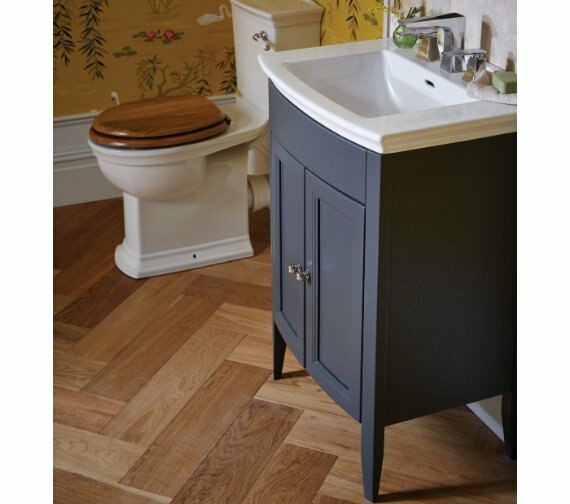 It is hand-crafted in UK from European Oak with more consistent colouring and higher degree of graining and sourced from sustainably managed forests. 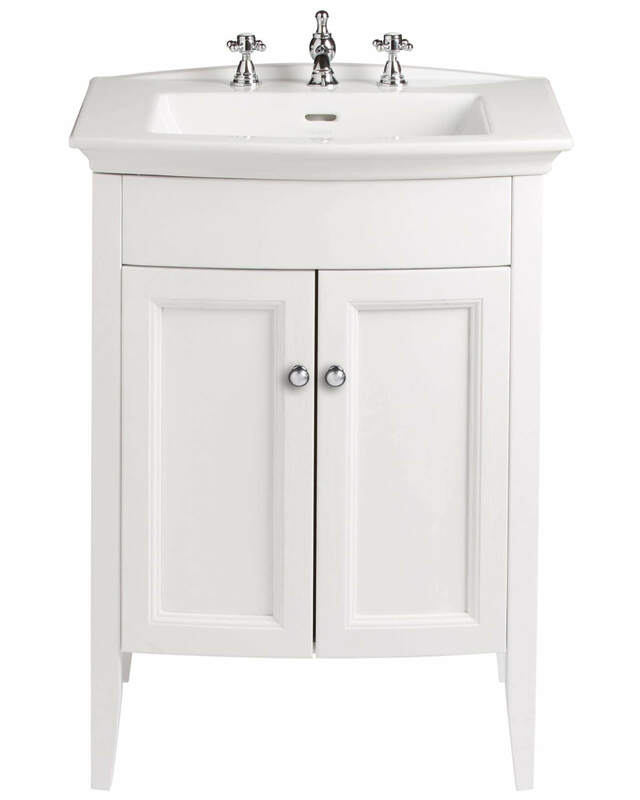 It features soft close doors and rounded edges and has a number of options for handle designs. 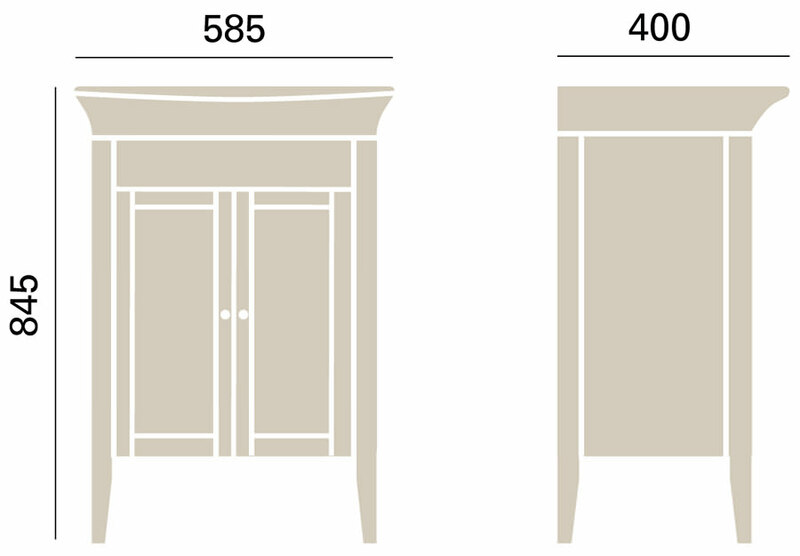 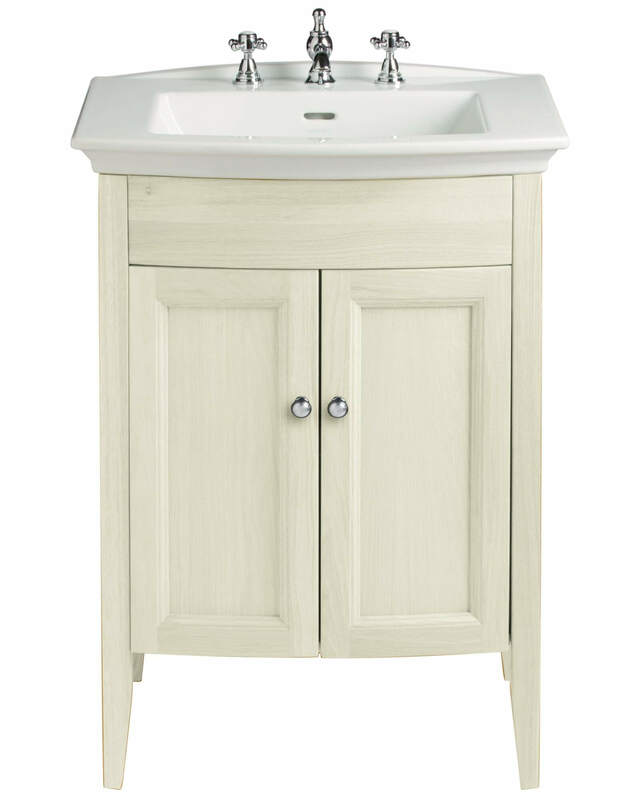 The back of unit is constructed from solid wood, while the underside is finished to match the outer. 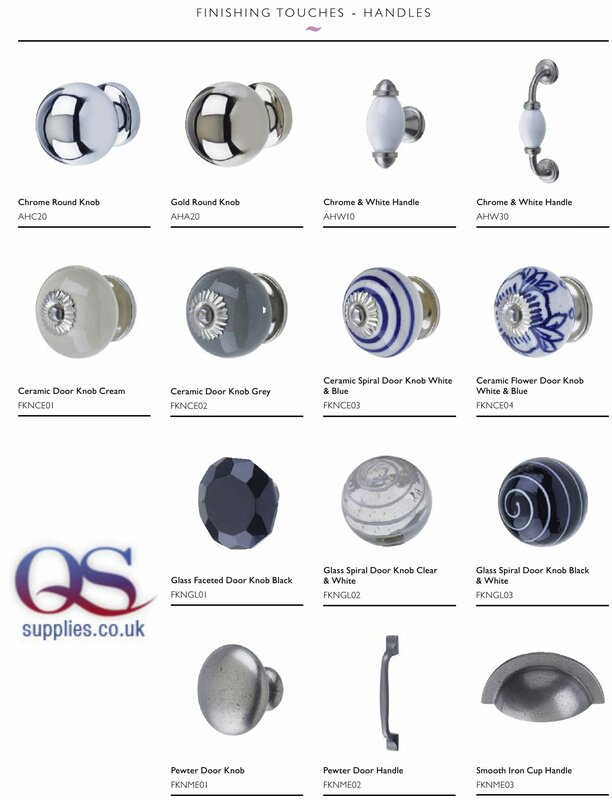 Optional Products: Blenheim Basins, Handles, Bottle Traps. 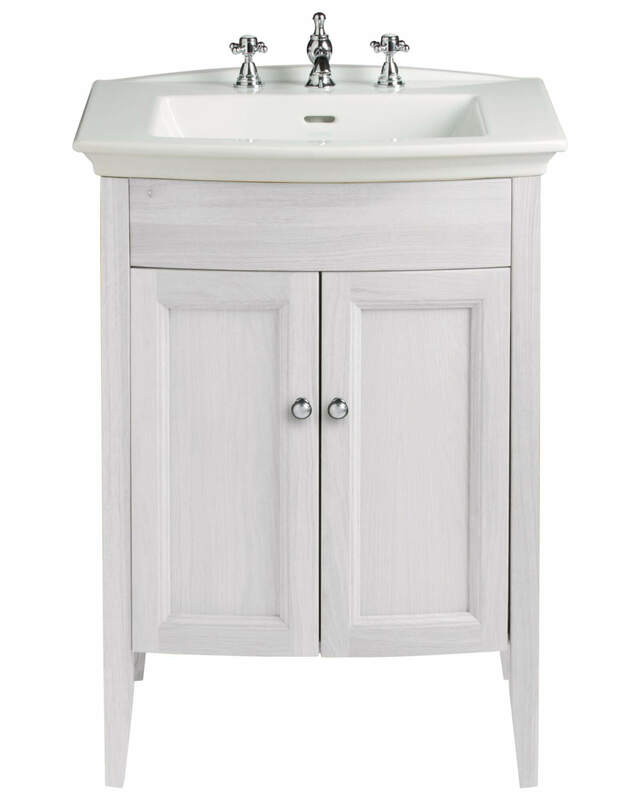 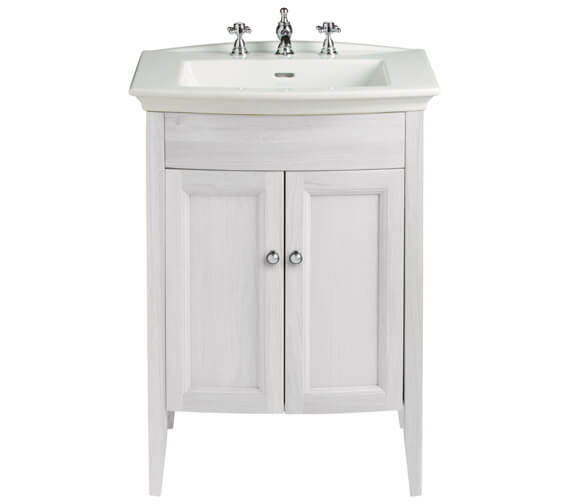 Excellent quality white finish basin design to suit with Blenheim furniture unit. 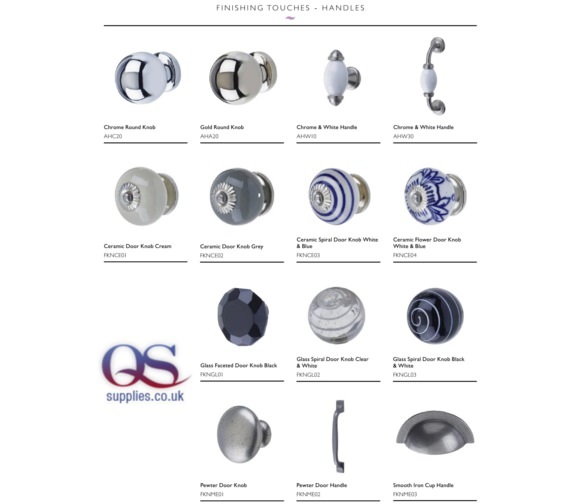 TAP SHOWN IN THE IMAGE IS NOT INCLUDED. 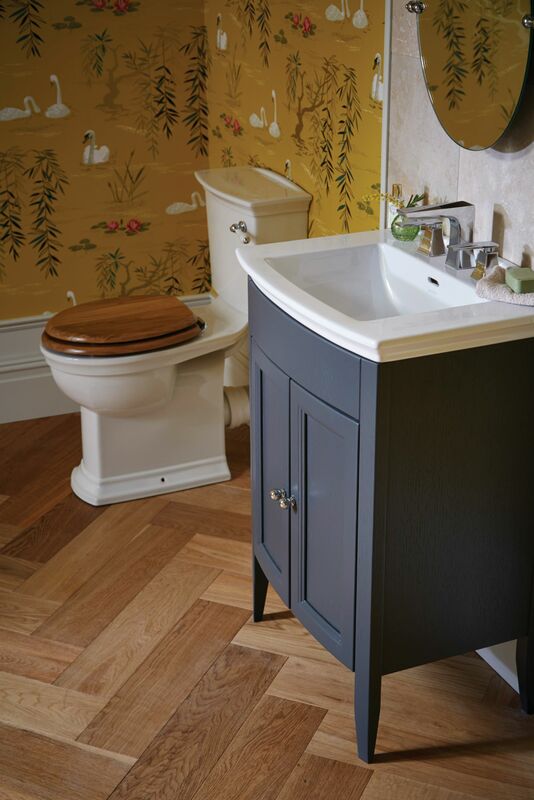 We refurbished our bathroom and wanted it to have a modern victorian style. 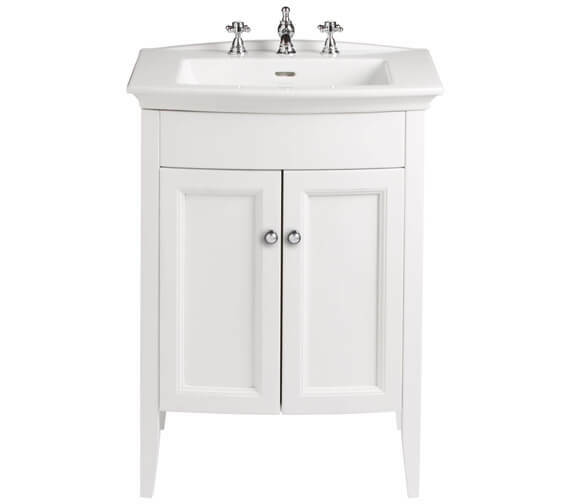 This was just perfect for us and we love it! 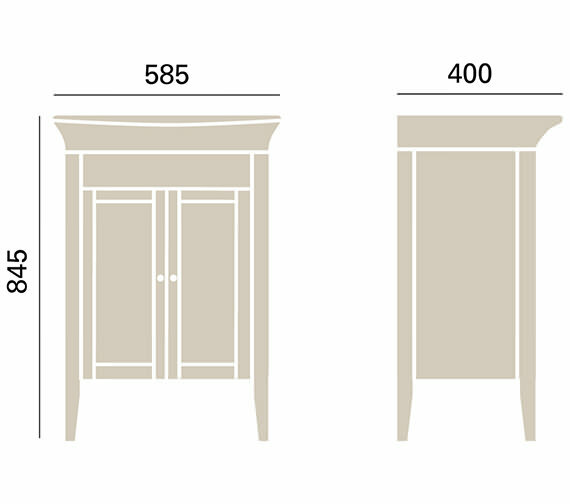 The overall dimension of the box is - Height 650 x Width 505 x Depth 880mm and the weight is 17.44 kg.